Oct 2, 2013 - N.A. 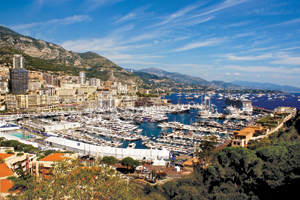 The 23rd annual Monaco Yacht Show is without doubt the most important event in the world of superyachts, showcasing the most exciting new yachts from this ever-evolving industry, in a spectacular four-day event in the photogenic setting of Port Hercule. The show is a key opportunity to bring together superyacht owners, brokers, yacht builders and designers from all over the world. 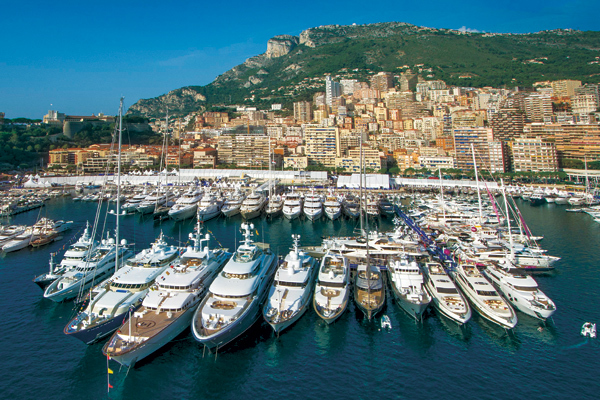 From 25-28 September, the event by the Informa Group unveiled over 100 superyachts floating side by side in the shadow of the Monaco hills, buffed and polished to perfection by immaculate, ever-professional crews, welcoming on board brokers and potential buyers. This year’s must-see yachts could be even more extraordinary than last year’s. The yachts at the show this year demonstrated the trend among superyacht owners to constantly strive to do what’s new and different. While ultra high net-worth individuals purchase superyachts for many different reasons, including the ultimate privacy that only a yacht can provide, one of the beauties of commissioning a superyacht is that, as long as your idea is within safety regulations, you can create anything you want. The 42-metre yacht Sofia, built by Dutch yard Moonen, is fitted with a bathing platform built to take a three-man submarine that can be easily deployed. On the largest yacht at the show, the 88-metre Quattroelle, the owner wanted an entire half deck dedicated as a self-contained private space for himself and his family. The area includes the owner’s suite, his and hers bathrooms, an office, plus two children’s cabins, taking to a new level the concept of having privacy on board, closed off from the other guests and the crew. It sees a move away from the previous trend of building yachts that were more neutrally designed, so as not to deter potential charter guests. Bringing the outside inside is also a growing trend, as today’s guests want to be connected to the ocean in as many places on board as possible. The ‘beach club’ areas of modern yachts (a deck area at the aft end of a boat that’s only a few feet up from the ocean) have always been popular places to spend time on board, but now they are becoming larger and more developed, featuring saunas, massage rooms and bars. On many newly built yachts, for example the Benetti-built Ocean Paradise or the Amels-built Engelberg, there are terraces and balconies that fold down on each side from the main salon or owner’s area – these make ideal spots for breakfasting in privacy and fresh air, looking over the ocean. The 65-metre Lady M (built by Palmer Johnson) is one of the fastest yachts at the show, reaching speeds up to 28 knots, and its design is that of a sportscruiser – a fast boat made to speed at full power through the water – made for an owner wanting to feel the wind in his hair rather than sit serenely on deck sipping cocktails. “Quattroelle”, designed by Nuvolari-Lenard, is the largest at the show. Year: 2013 Size: 289 ft.
“J’Ade” has a strong identity, combining technological innovations and open spaces. Shipyard: www.crn-yacht.com Year: 2012 Size: 190 ft.
“Event”, designed by Tim Heywood is making her debut at this event. Shipyard: Amels Year: 2013 Size: 199 ft.
“Chopi Chopi” is the largest vessel ever built by CRN Engineering. Shipyard: www.crn-yacht.com Year: 2013 Size: 262 ft.
“Sofia” is a twin-screw, three-deck displacement long range semi-explorer. Shipyard: Moonen Shipyard Year: 2013 Size: 137 ft.
“Engelberg” is the most customized Amels Limited Editions 180 ever built. Shipyard: Amels Year: 2013 Size: 180 ft.
Every year at the Monaco Yacht Show, there are a few yachts that every journalist is clamouring to get on board, whether it’s because of their jaw-droppingly innovative design, sheer size or even an intriguing celebrity owner, and this year’s must-see yachts could be even more extraordinary than last year’s. As mentioned, Quattroelle, built by the highly respected Lurssen yard, is the largest yacht in the show and one of the most spectacular. Huge volumes, a sumptuous self-contained owner’s deck, an extraordinary range of bespoke glassworks and different woods, an onboard art gallery and an enclosable outdoor seating area are highlights on board this extraordinary vessel. Italian yard CRN, which this year celebrates its 50th anniversary, brings its own flagship yacht at 80 metres in Chopi Chopi. Each guest cabin on board has its own outdoor area, the owner’s area has its own private hot-tub, and there is room for 33 crew members. The beach club covers 100 square metres, sure to be one of the biggest in the show. This yard also brings J’Ade to the show, which features a floodable tender garage with a side-opening hatch so guests can easily hop on board the tender for exploring or watersports. Dutch yard Amels will bring the 60-metre Event, from the yard’s 199 series, designed by UK designer Tim Heywood. Its innovate exterior shape, with a vertical bow, will ensure it stands out at the show. The Moonen 42-metre Sofiawith its three-man submarine perched on the huge bathing platform will also turn heads. Seahawk, the first 60-metre from Perini Navi, is a sailing yacht that can perform as a racer or be used as a cruiser depending on the owner’s wishes. While the superyacht industry is far from returning to the heyday of 2007, the situation in 2013 is a new reality, to which the industry is slowly adapting. Brokers are working harder to convince owners that the prices yachts could once command are no longer viable, and expectations need to be adjusted accordingly. Where there is an increased amount of realism among sellers, more deals are done – but with prices lowered, this doesn’t necessarily translate to greater profit. In times of uncertainty where owners are less willing to take risks, the northern European yards, well-established and long respected, continue to thrive, with Lurssen’s largest, Amels’ extraordinary semi-custom Event, and Heesen’s technologically groundbreakingGalactica Star (with a hydrodynamic hull form that increases efficiency by upto 30%) demonstrating the continuing success of these yards at the show. In other parts of Europe, business is generally tougher, but quality will always shine through – CRN, as well as the two new ones here, have seven yachts in build. Like the businesses of yacht owners, the yacht industry is positioned all over the world, and while this means it is as affected as any industry by economic ebb and flow, it is also a strength. The superyacht industry creates jobs globally through its demand for quality workmanship – your yacht can be designed in England and built with German engineering and Italian styling. Press release written in collaboration with the media partner IPC Media, Superyacht World.